IrriCure Injectable improves the soil’s natural wetting ability, resulting in increased irrigation efficiency and water savings. 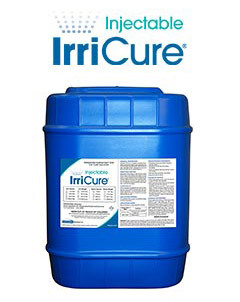 The strong penetrant action in IrriCure helps condition the soil, promoting easy rewetting and improved nutrient availability by providing uniform distribution of water and soil moisture. Its low viscosity offers easy use and handling in most injection and irrigation systems.